Not, not everything is queue based. The normal mode of operating the player doesn't use the queue at all : select an album, folder, whatever, then tap a song, then playing starts. If you want to play a song or an album or whatever immediately ( while playing the category as depicted above ) then you enqueue it, the contents of the queue is played, and you are back in the normal mode. 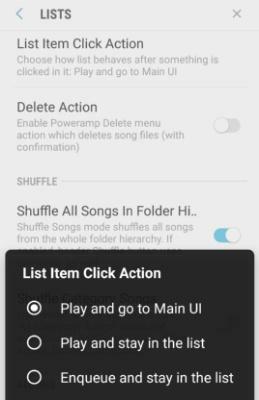 There is an option in Settings > Library > Lists > List Item Click Action that decides what should happen when you tap a song in a list. Do you have that set to enqueue ? Your problem arises because you use the queue as your normal mode. In V2 there was a "Play" button available alongside "Enqueue" to better handle this way of doing things. Its reimplementation has been frequently requested. As @blaubär has said, if you have enqueued any tracks then PA will continue to play those until the queue is finished. That is the purpose of the queue. If you don't want that to happen, either don't place items in the queue in the first place, or clear it if you change your mind.